July 11th – 15th 2012 featured the 3rd annual NY Surf Week by NYSEA Productions, sponsored by Vita Coco Coconut Water, Webair Internet Hosting , WRV Surfboards, Skull Candy and hosted by the Allegria Hotel, brought all types of excitement to Long Beach, NY in an enormous way. A series of events was held, ranging from the NYSEA Open Contest, the NYSEA Open Kid’s Contest, the Surf for All: Surfing with the Blind and Visually Impaired Non-For-Profit Outing, and the NYNJPaddle.com World Paddleboard Association-Sanctioned Paddleboard Race, to an Art Show & Silent Auction, Beach Skate Jam Contest, DJ’s, Bands, a surf movie premiere, and wild parties. Attempting to run a surf contest on the East Coast in mid-July can be a serious challenge, but working with a 5-day waiting period certainly made it doable this year. Contest Director Rick Anthony announced at the Open Division Competitor’s Meeting on the first day of the waiting period, Wednesday morning, that day one would be a lay-day since the surf was small and the forecast called for it to build overnight. Wednesday afternoon saw the “Surf for All” non-for-profit event, where instructors and volunteers helped a group of blind and visually impaired athletes surf. Approximately 25 athletes participated, taking turns with land instructions followed by hands-on assistance in the ocean, and resulting in many first times of ever riding a wave. To say the least it was an unforgettable event for all campers, staff and onlookers involved. To top off the “Surf for All” outing, an Art Show and Silent Auction was held in the beautiful L’Onda Lounge of the Allegria Hotel Wednesday night, showcasing some of the most talented artists and photographers not only in the New York State area but even worldwide. The Silent Auction was a success, with over $1,500 raised for the Surf for All Organization and the establishment of many happy new owners of talented artwork. Thursday dawned with practically no wind and completely contestable waist-high swell with the occasional chest/shoulder-high set. Starting with a Round 1 of 32 surfers. 16 were then seeded into Round 2, after which the contest switched from 4-man heats to man on man format for the quater finals, semis and finals. As the day progressed and the tide dropped, the surf got better and better as the wind picked up and remained offshore. Rick Anthony (contest director) was eventually informed by the City of Long Beach that due to the terms of the permit the contest would have to end at 6 PM for the day. This allowed the contest to run through the quarter finals. With only the semis and finals left it was decided to make a call each remaining day. Waiting to find out when they would surf next was the top 4: Balaram Stack, Vince Boulanger, Clay Pollioni and Leif Engstrom. Thursday night was for the families and kids. Plenty of entertainment was set up in the Ballroom of the Allegria Hotel, including local movie premieres, raffles and games, with beverages and a Caribbean-style buffet dinner available to all attendees. It was a fun night, with several raffle winners including the lucky one to get a brand new WRV surfboard! Friday brought no contestable surf, so all eyes were focused on the NYSEA Beach Skateboard Jam. With 20 skaters ready to go, the ramp on the beach, and Mother Nature on our side, it was time for the first-ever NYSEA Mini Ramp Skate Jam/Contest, an event that was the first of its kind in the City of Long Beach! With two back-to-back days of competition, Day 1 brought some serious skating to the beach. Skull Candy DJ Deff was going mental, sending awesome tunes and vibes into the atmosphere and getting the crowd and skaters into a frenzy. As if that weren’t enough, the City of Long Beachs’ fireworks display was also going off in the background. The 20 skaters battled it out on the ramp for 12 spots that would qualify into Day 2. They put it all on the line for the $500 grand prize. One standout moment of the contest worth mentioning is when Long Beach local Frankie Magee was awarded $100 and a pass straight to the finals when he was elected crowd favorite of the night! Then it was off to the Rooftop Party at the Allegria Hotel. Tickets to the party were sold out by 10 PM, live music was provided by Jahstix and DJ Deff, and a special guest appearance and performance from Masta Killa of the Wu-Tang Clan definitely added to the hype. It was a night to remember for sure, but also a night not remembered by many. Saturday brought with it the Kid’s Contest and Paddle Race. With 48 boys and 18 girls under 16, the NYSEA Open Kid’s Contest saw competitors from Eastern Long Island and South New Jersey who were ready to take home trophies. Running a 6-man heat format due to the number of entrants, the event went off flawlessly. The Boys’ Division came down to 6 surfers who surfed incredibly well all day. The boys finalists were Zack Raffin, Cooper Fortney, Jude Clark, Haze Rainis, Mike Kinsel and Noah Wilson. The girls finalists were Selena Moberly, Erin Kohler, Liz Kohler, Olivia Jansing, Dakota Ejnes and Erica Armellino. At 11 AM on Saturday morning a 20-minute break was taken from the Kid’s Contest for the start of the NYNJPaddle.com’s 10 Mile Long Beach Paddleboard Race. The race was held to benefit 4 local charities and organizations: The Dean Randazzo Cancer Foundation, The Tommy Brull Foundation and Camp Anchor, The Danny Bobis Memorial Scholarship Fund and The Long Beach High School Surf Team. Among the starters and the first overall finisher was 10X World Champion Jamie Mitchell. Setting a blistering pace on an overcast day with consistent 12-15 knot headwinds on the ocean leg, Jamie finished in a remarkable 1:48.04 in the 14′ class, beating local legend and world class competitor Mark Temme’s 1:55.47, with Scott Bradley finishing third at 1:58.29. In the hotly contested Prone Division, Thomas O’Neill came in first place with 1:49.57. Second and third place went to Michael Connor and Justin Schwartz. At 5 PM on Saturday afternoon the annual memorial paddle-out for Long Beach local George “Geeza” Geiser was held. Directly after the meaningful paddle-out it was right back to the finals of the NYSEA Skateboard Beach Jam. 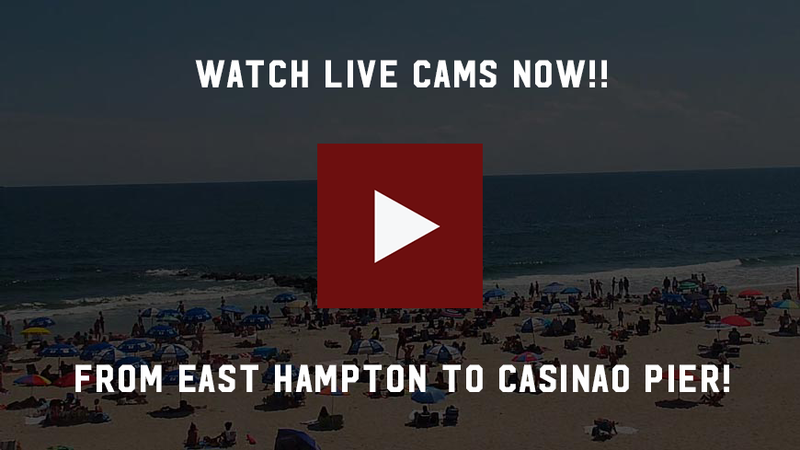 The boardwalk and surrounding beach area was packed as the heats began. For his many invert variations Eddie “Snake” Henriquez was announced as the winner of best trick. Crowd favorite Frankie Magee took 3rd place in the finals with his smooth style, while Andrew Connell had the tricks and style to land him in 2nd. In the end, 1st place went to Ryan Chaney out of NJ. His tricks, style and consistency just couldn’t be matched!! After the winners had been announced and the skate contest was officially over, many of the finalists and friends hung out and skated into the night. With the City of Long Beach’s bandstand set up, live music from Jahstix, Groundswell and Masta Killa of the Wu-Tang Clan was enjoyed by hundreds of people. It was truly epic to watch Groundswell and Masta Killa put on such an amazing performance together with skateboarders skating their hearts out in the foreground. It made for a perfect last night of Surf Week. With favorable surf conditions of light wind and solid waist to chest-high waves, the call was made on Sunday morning to run the remaining heats of the NYSEA Open Surf Contest. The two semifinals ran and saw some of the best surfing of the week. Both semis were decided by a total wave score of less than 2 points out of a possible 20. Advancing to the finals were Balaram Stack and Vince Boulanger. Clay Pollioni and Leif Engstrom surfed off to decide 3rd and 4th places, with Pollioni squeaking out the win. The 25 minute final was an exciting air show with the winning wave coming less than a minute and a half from the ending horn. Balaram Stack took off on one of the best waves of the week, set up and boosted the biggest air of the event to secure the win. This Surf Week may have been the first of its kind in the City of Long Beach, but it will most definitely not be the last. It was full of excitement and passion, and helped to shine some light on local talent in many different ways. 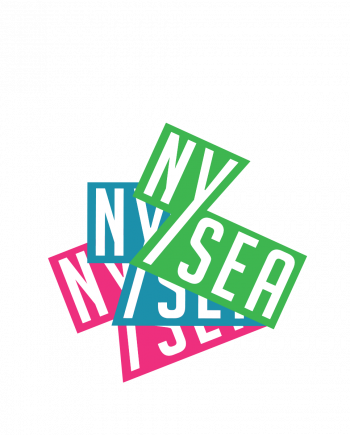 That is what NYSEA stands for, and it couldn’t have happened without the NYSEA Collective ! See you at the 2013 NY Surf Week ! NYsea Surf Week 2012 | Highlights from NYSea.com on Vimeo.